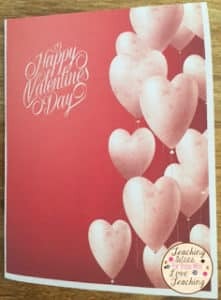 I always have extra Valentine’s Day cards on hand for those students who forget theirs or who don’t have any to give. 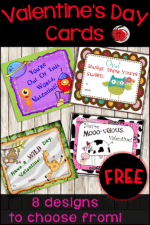 Year after year I have bought the cards, but I know have 8 free designs to choose from. All I do is print and cut and they are ready to go! I use these as the cards I give to my students and I love how the different designs allows me to be able to personalize the cards based on my students interest. Get your free copy by clicking on any of the pictures. « Are You A Rectangle Or A Square?